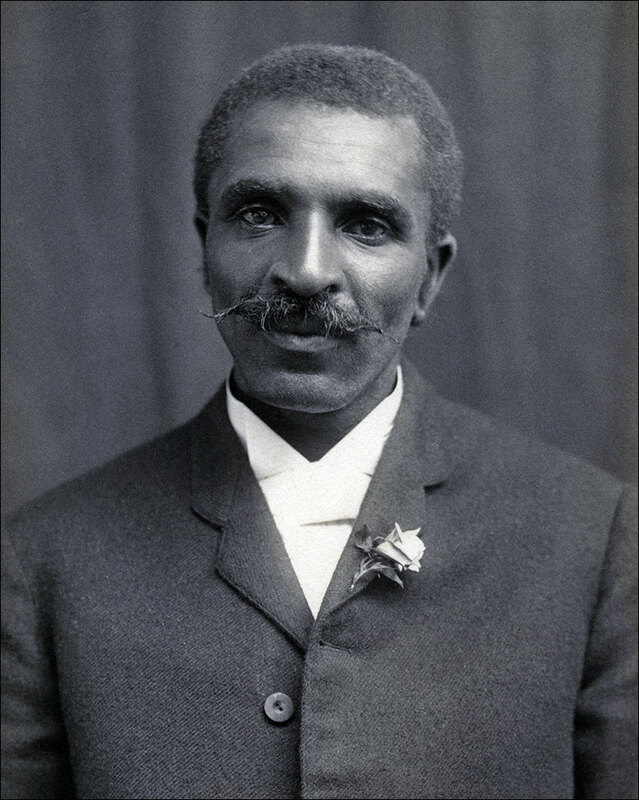 In 1887 Carver was accepted into Simpson College in Indianola, Iowa where he became well respected for his artistic talent (in later days his art would be included in the spectacular World’s Columbian Exposition Art Exhibit.) 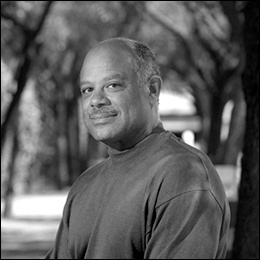 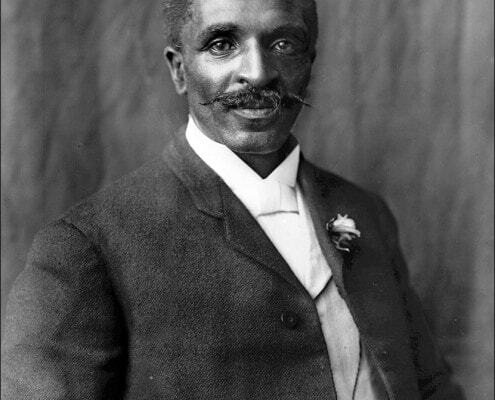 Carver’s interests, however, lay more in science and he transferred from Simpson to Iowa Agricultural College (which is now known as Iowa State University.) 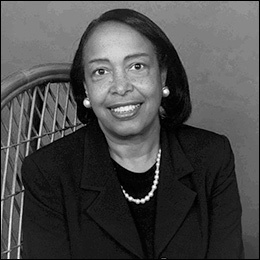 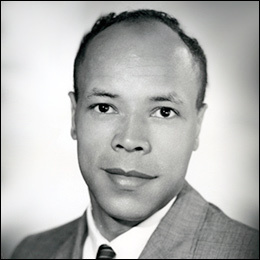 He distinguished himself so much that upon graduation he was offered a position on the school’s faculty, the first Black accorded the honor. 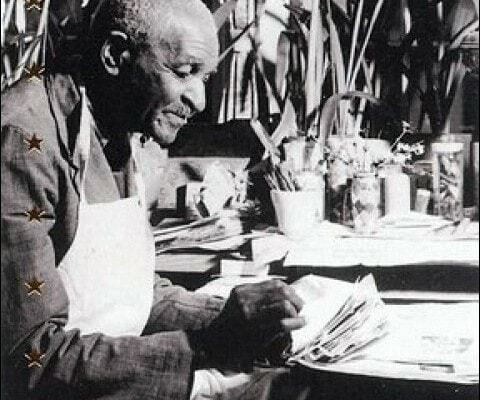 Carver was allowed great freedom in working in agriculture and botany in the University’s greenhouses. 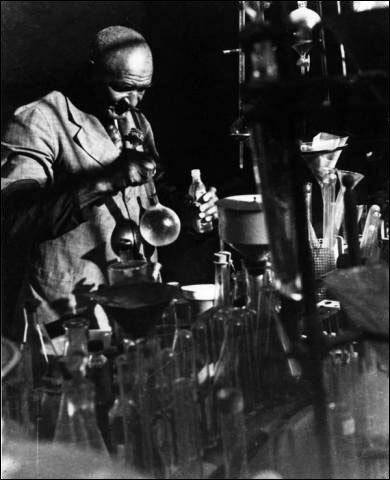 In 1895, Carver co-authored a series of papers on the prevention and cures for fungus diseases affecting cherry plants. 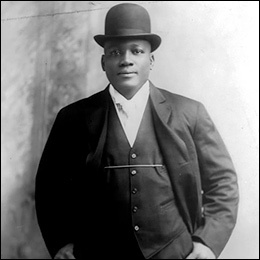 In 1896 he received his master’s degree in agriculture and in 1897 discovered two funguses that would be named after him. 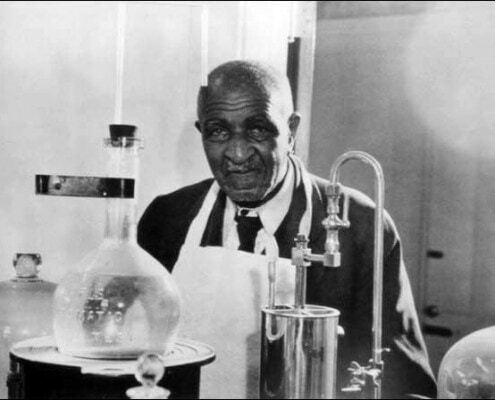 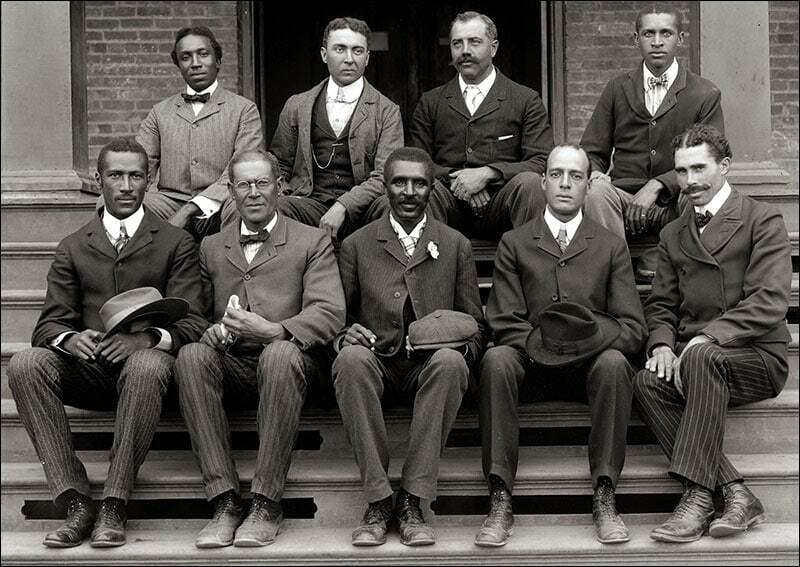 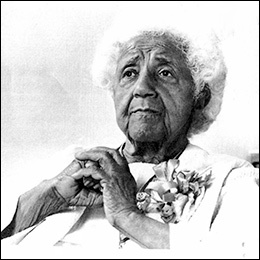 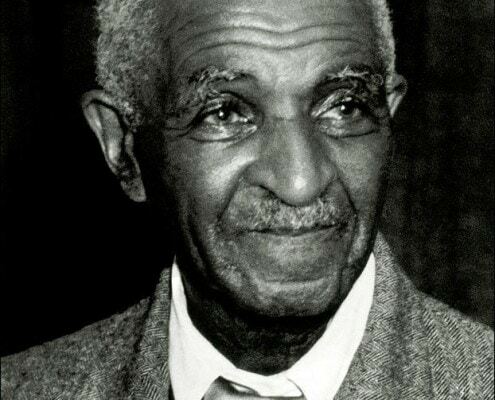 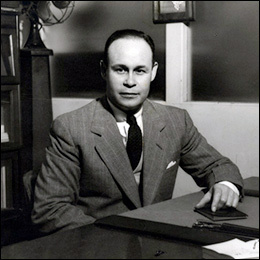 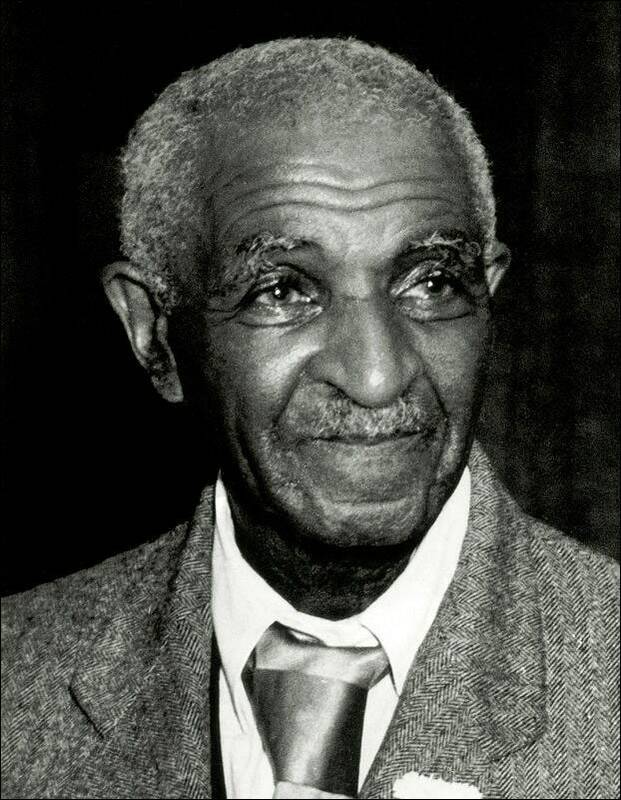 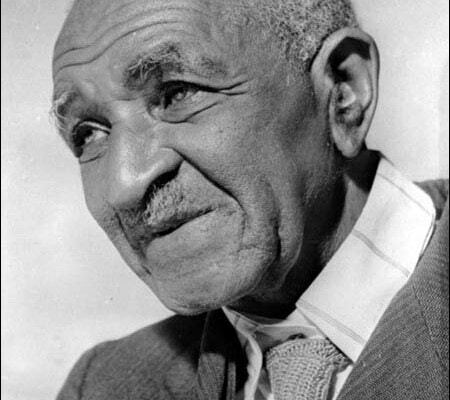 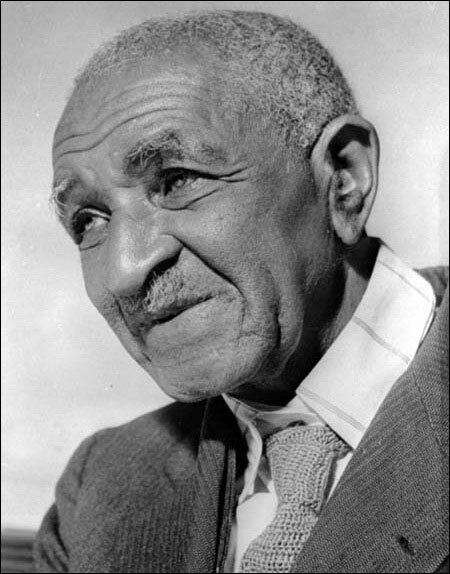 At this point, the most pivotal moment of his life arose – he was summoned by Booker T. Washington to teach at Tuskegee Normal and Industrial Institute. 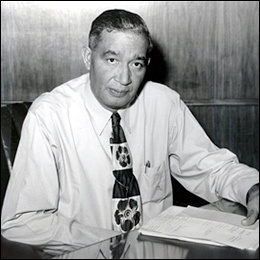 He was appointed director of agriculture and quickly set out to completely correct its wretched state. 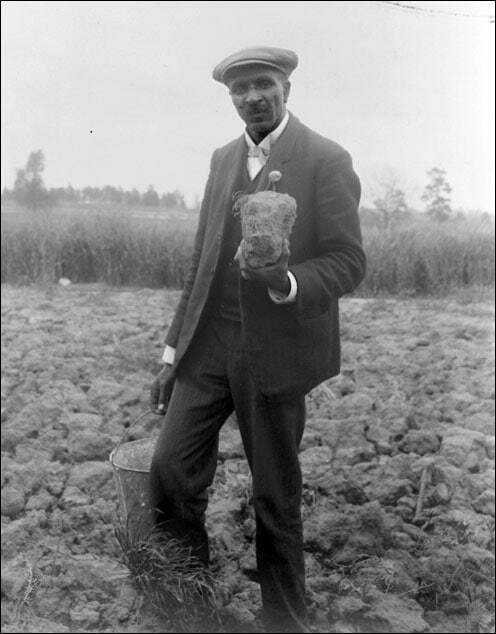 He was given a 20 acre shabby piece of land and along with his students planted peas on it. 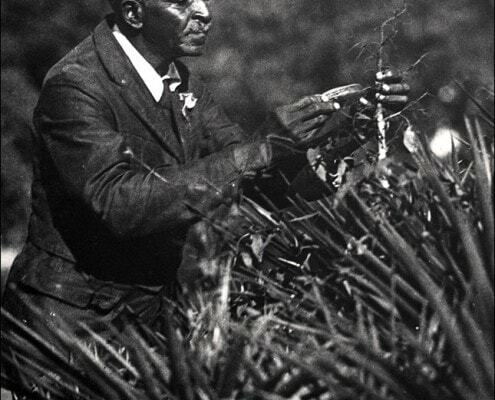 Like all legumes, the peas had nitrogen-fixing bacteria on their roots which took nitrogen from the air and converted it into nitrates which then worked to fertilize the soil. 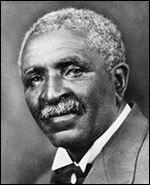 The depleted soil quickly became rich and fertile, so much so that he was able to grow 500 pounds of cotton on each acre of land he worked on. 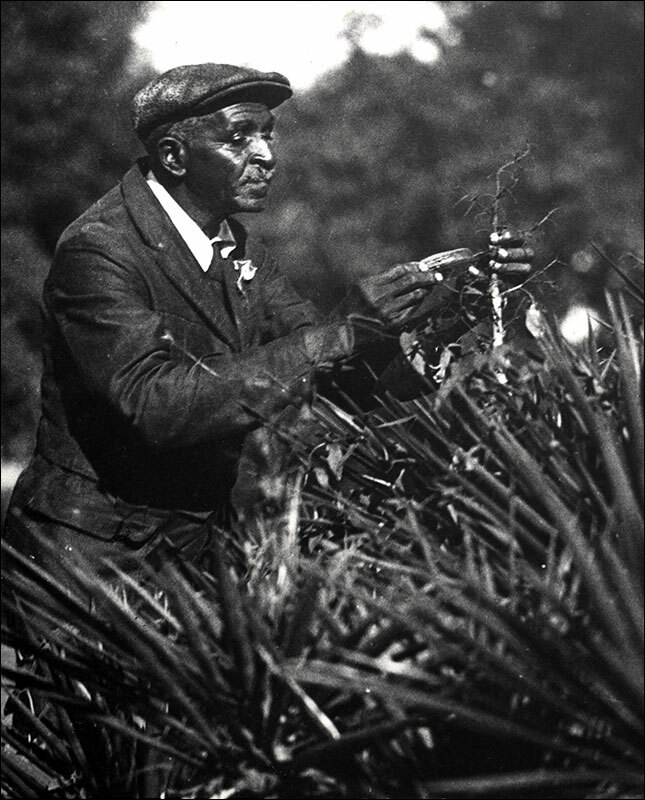 Carver soon instructed nearby farmers on his methods of improving the soil and taught them how to rotate their crops to promote a better quality of soil. 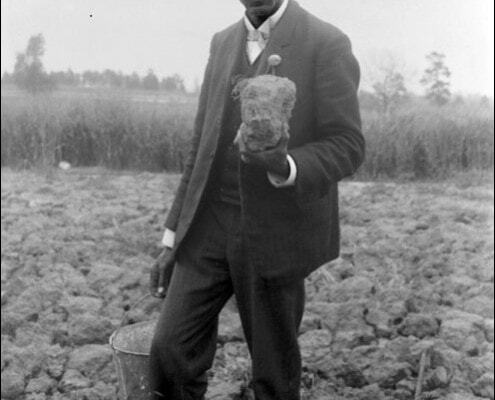 Most of the staple crops of the south (tobacco and cotton) stole nutrients from the soil, but these nutrients could be returned to the soil by planting legumes. 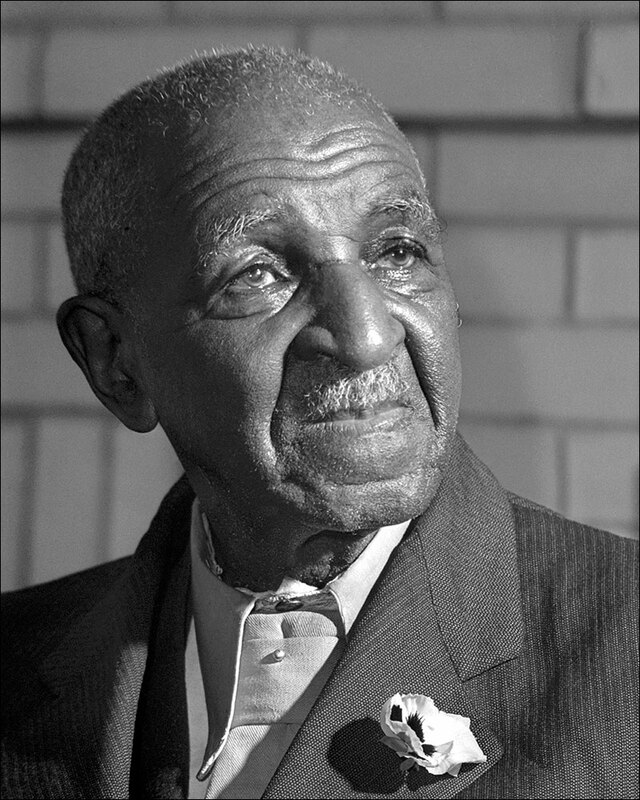 Thus, in order to improve the soil, Carver instructed the farmers to plant peanuts, which could be harvested easily and fed to livestock. 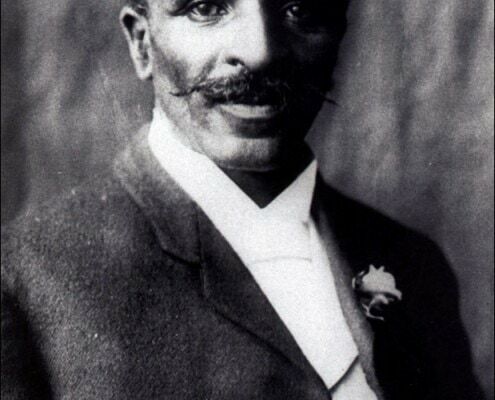 The farmers were ecstatic with the tremendous quality of cotton and tobacco they grew later but quickly grew angry because the amount of peanuts they harvested was too plentiful and began to rot in overflowing warehouses. 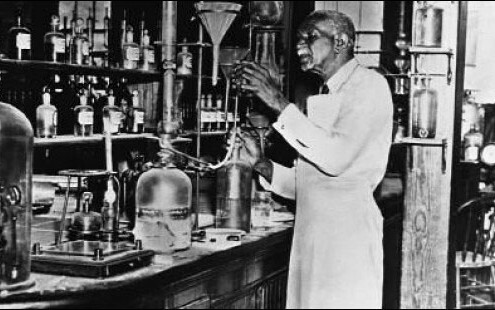 Within a week, Carver had experimented with and devised dozens of uses for the peanut, including milk and cheese. 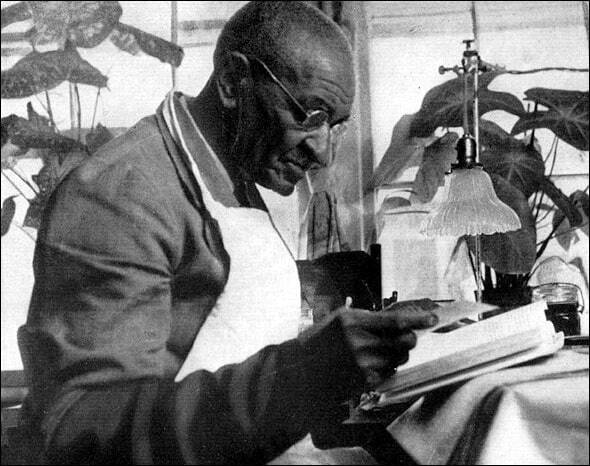 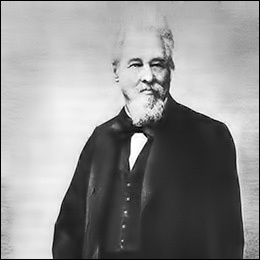 In later years he would produce more than 300 products that could be developed from the lowly peanut, including ink, facial cream, shampoo and soap. 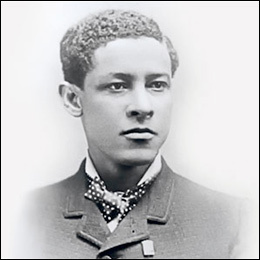 Carver did not stop with these discoveries. 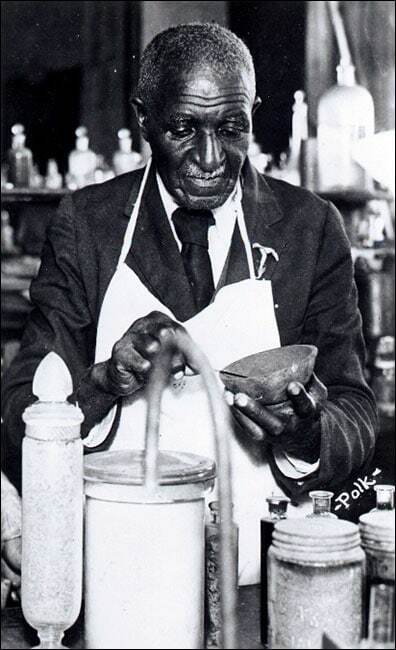 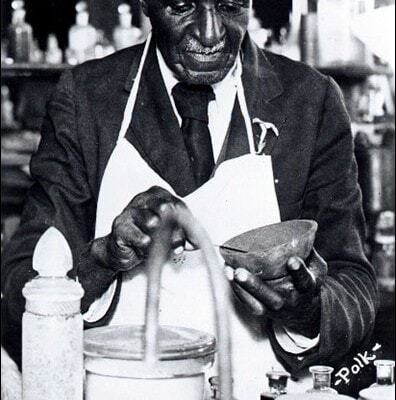 From the inexpensive pecan he developed more than 75 products, from discarded corn stalks dozens of uses and from common clays he created dyes and paints. 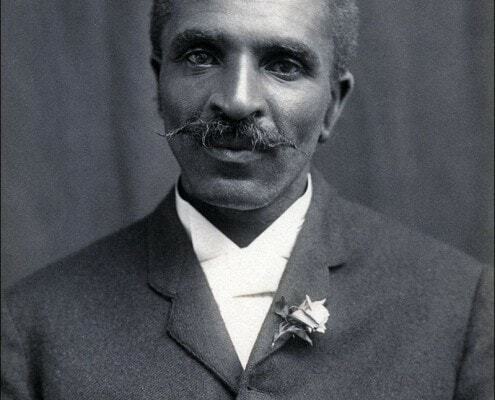 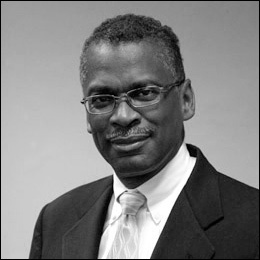 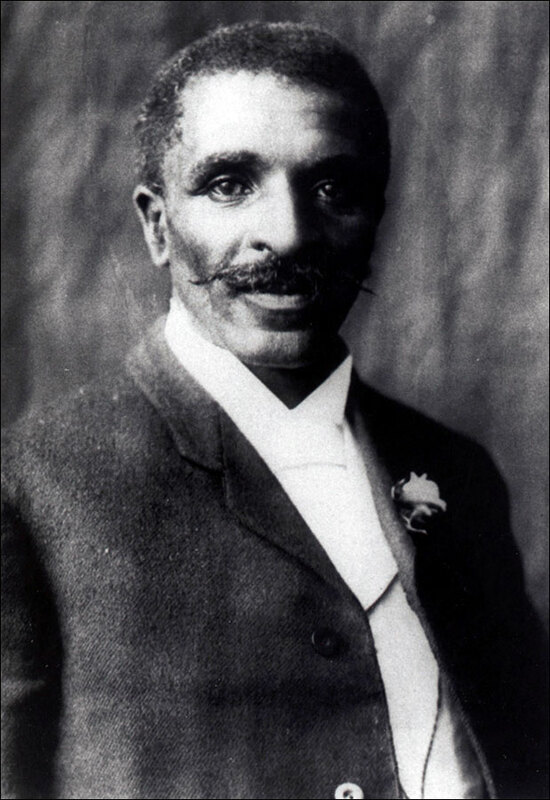 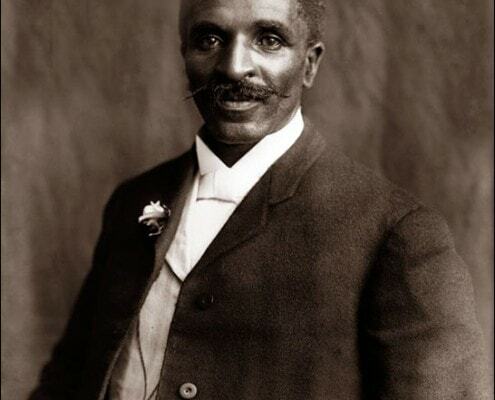 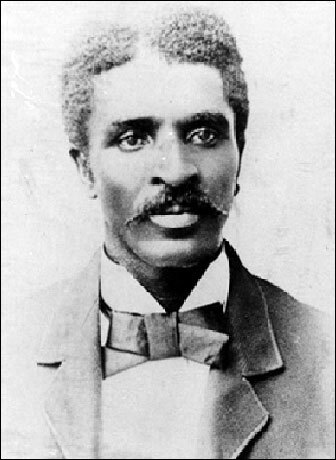 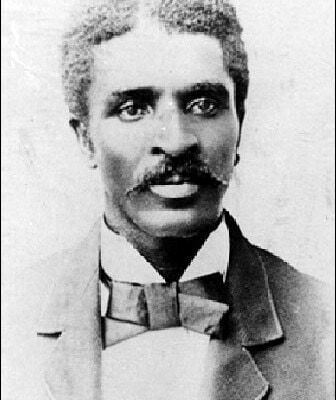 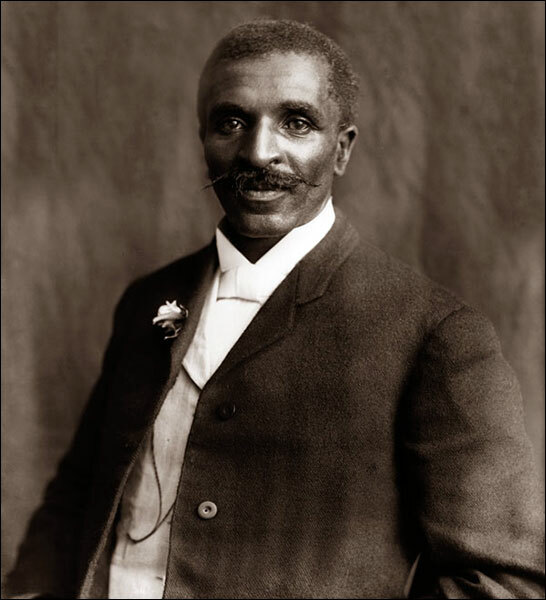 Suddenly Carver’s fame grew and grew until he was invited to speak before the United States Congress and was consulted by titans of industry and invention. 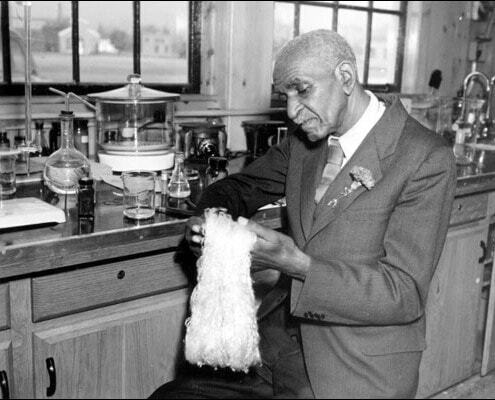 Henry Ford, head of Ford Motor Company invited Carver to his Dearborn, Michigan plant where the two devised a way to use goldenrod, a plant weed, to create synthetic rubber. 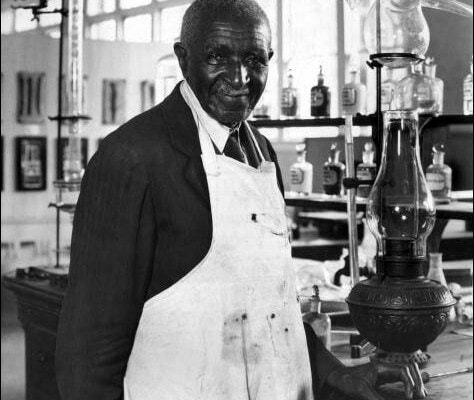 Thomas Edison, the great inventor was so enthusiastic about that he asked Carver to move to Orange Grove, New Jersey to work at the Edison Laboratories at an annual salary of $100,000 per year and state of the art facilities. 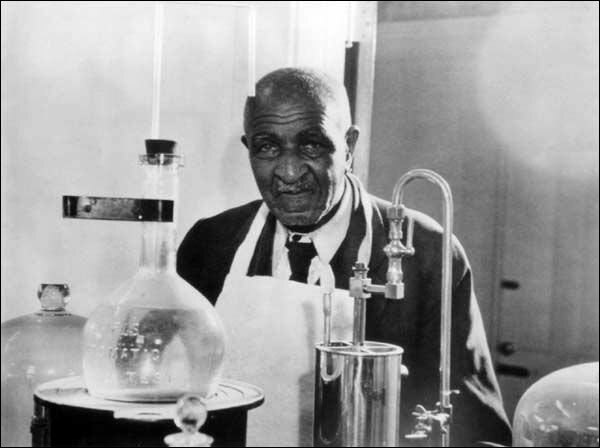 He declined the generous offer, wanting to continue on at Tuskegee. 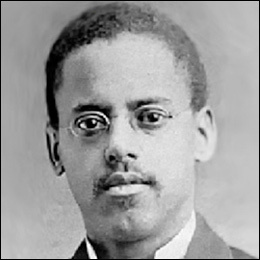 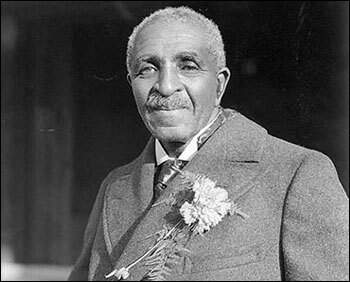 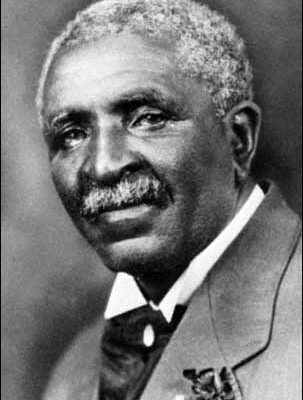 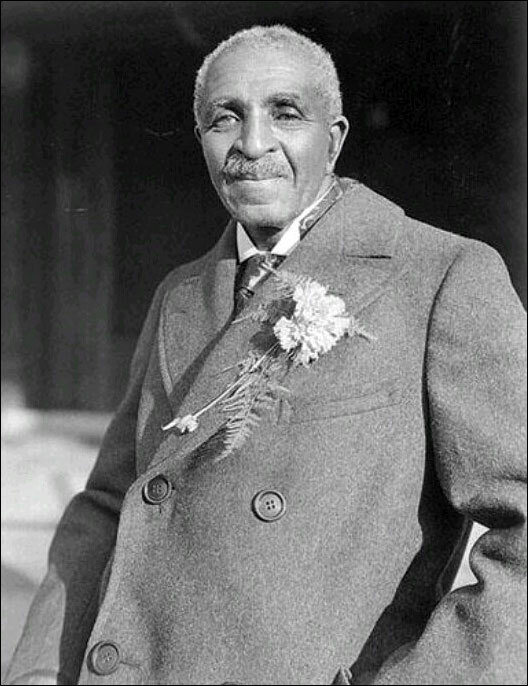 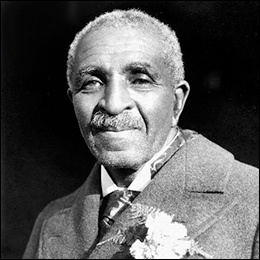 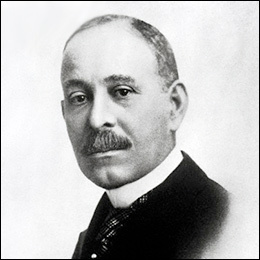 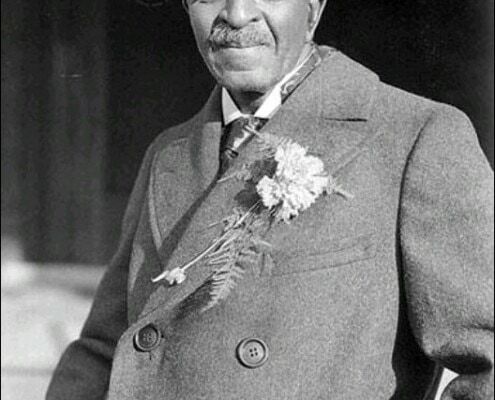 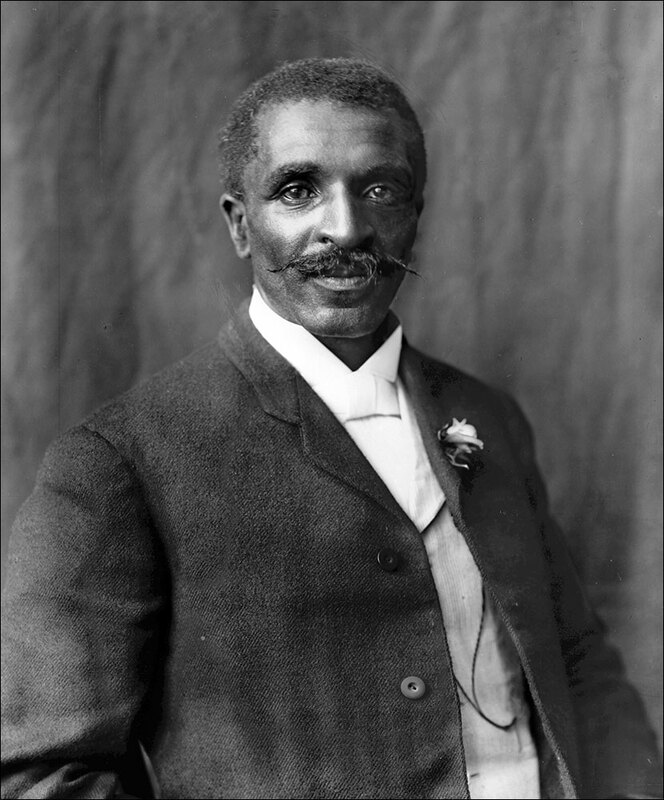 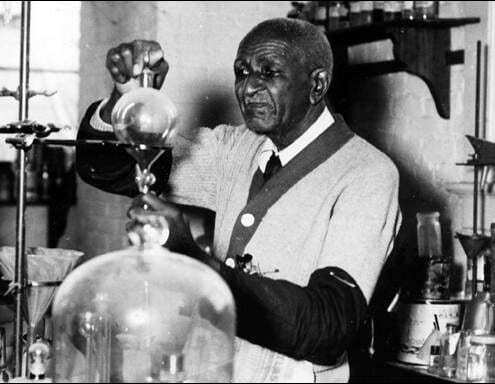 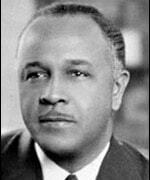 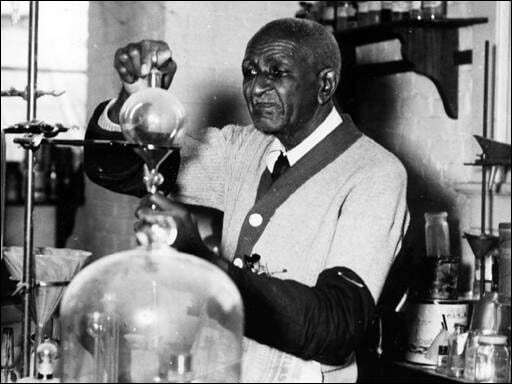 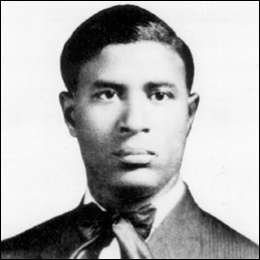 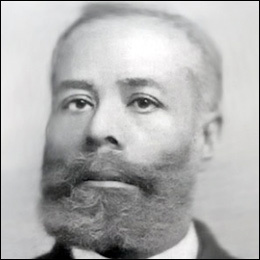 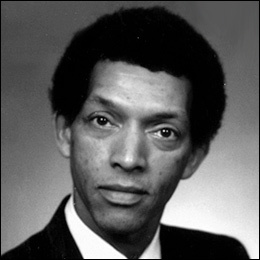 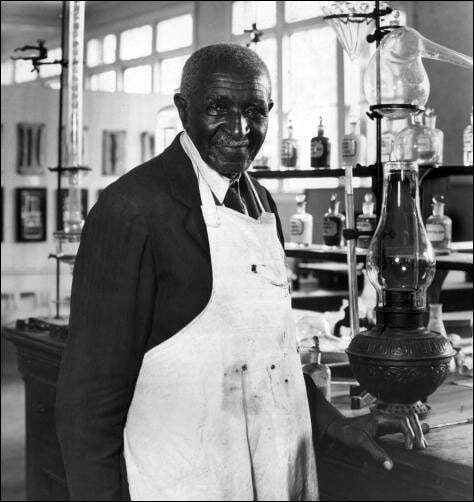 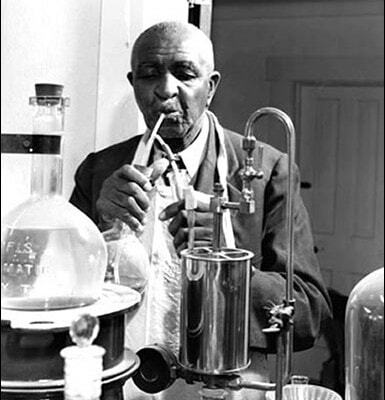 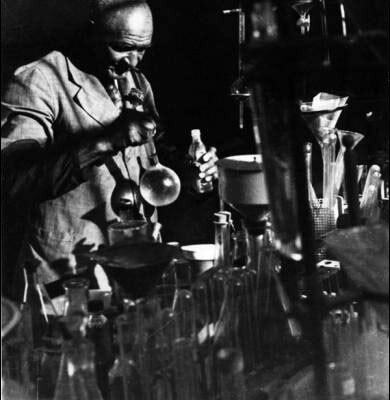 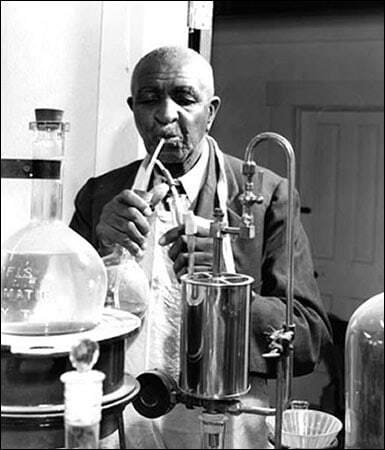 He was elected a Fellow of the Royal Society of Arts, Manufacturers and Commerce of Britain in 1916, the Spingarn Medal from the National Association for the Advancement of Colored People in 1923, and in 1939 was awarded the Theodore Roosevelt Medal for “distinguished research in agricultural chemistry.” He was appointed to various boards and committees by the United States Department of Agriculture and was named Man of the Year in 1940 by the International Federation of Architects, Engineers, Chemists and Technicians. 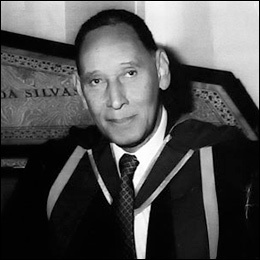 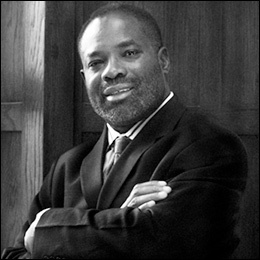 Finally, he received honorary Doctor of Science degrees from Simpson College as well as the University of Rochester. 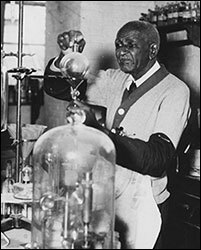 This website is great for research! 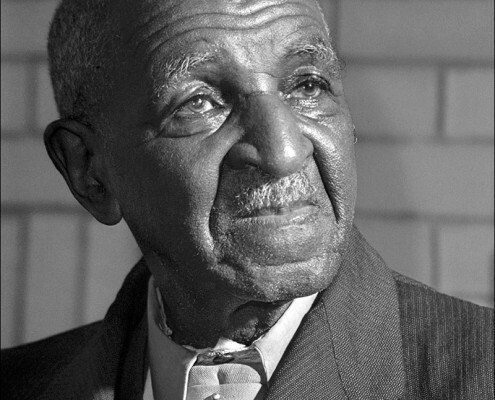 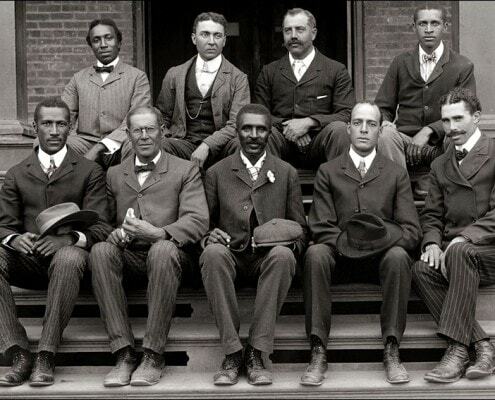 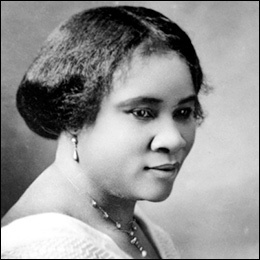 carver taught the world how to survive& no one else has done that at this magnitude! 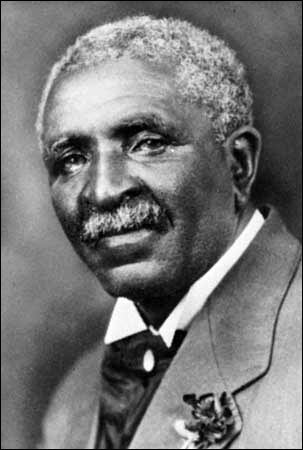 we African American were not the only cultures in slavery all of the world were in slavery!